Fortnite Battle Royale players can already see snow as it has recently been added to the game. Epic Games has already started preparing "Fortnite Battle Royale" players for some big changes in season 7. It is now clear that the popular video game will get a snowy area for the first time, and players can experience what it will feel like. With the iceberg quickly approaching the in-game island from its southwestern side, we can expect the video game developer to release even more changes before season 7 begins. Right now, players can see snow falling in the starting area. 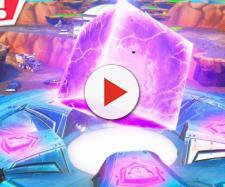 While this is just a small change, it allows players to see what the iceberg area is going to feel like in the upcoming season. We've all known that it was going to be a cold and a snowy area, but now we can see exactly what the snow effect is going to look like. The starting island should get more changes in the next two days, and we can expect the snow effect to become more intense. The starting area is located southwest of the main island in the game. This is why it has gone through a few subtle changes in the last few weeks, and Epic Games are using it to introduce "Fortnite Battle Royale" players to season 7. The area is located very close to the iceberg, which is why players have a cold breath on it. It makes a lot of sense that this small island now has snow, and as iceberg approaches the main island, it won't be surprising if the snow gets much more intense. While we do know that the iceberg area is going to have snow, we don't know what the rest of the island is going to look like. However, there is a good chance that the starting island will also have snow since it will be located very close to the iceberg, even when it merges with the main island. 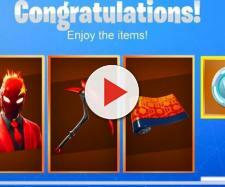 Season 6 ends in less than two days and Donald Mustard, creative director of "Fortnite," is preparing a big announcement for Thursday. We might get even bigger map changes than we expect, so make sure you tune in to The Game Awards live stream on Thursday, December 6, at 9 PM eastern time. Also, keep your game close as we might get another big in-game event! Many "Fortnite Battle Royale" players have expected Epic Games to release the second season 7 teaser today. However, that did not happen and the game developer has released a developer update for the PvE mode of "Fortnite." The developer has, however, hinted at the snow falling in the game. Because of this, we can expect to see this effect over the entire island, although many areas may not be covered by snow.